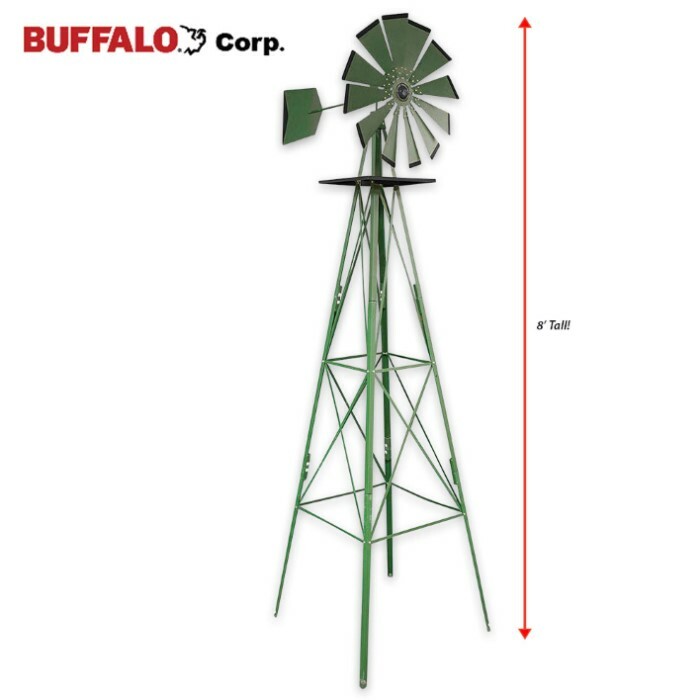 Decorative Country Windmill - 8 FT | BUDK.com - Knives & Swords At The Lowest Prices! If you want to add authentic country style to your lawn or garden, you need a decorative windmill. This attractive 8-foot piece is weather resistant. The 23” diameter fan head rotates and spins, always facing directly into the wind. The base of the windmill is 27” x 27”.